Pille Lill is one of the most well known opera singers in Estonia today. She obtained her M.A. degree from the Sibelius Academy (2003, Prof. L. Linkko-Malmio) and M.A. diploma from the Guildhall School of Music and Drama (Prof. J. Peters). In 2004-2011 she was studing in the Doctoral Department at the Estonian Academy of Music and Theatre with Prof. Jaakko Ryhänen and 2005/06 with the lied Professors Hartmut Höll and Mitsuko Shirai in Karlsruhe´s University of Music. Over the years she has been awarded many prizes - Best Female Singer in Estonia (1996, 2002), the Wagner Society Scholarship (1998), the Bishop Platon III degree Distinguished Service Order (2005). Pille Lill has performed with numerous conductors, the most influential are N. Järvi, G. Rozdestvensky, C. F. Cillario, E. Klas, J. Storgårds, G. Rinkevicius, A. Volmer, M. Kütson, A. Tali and O. Elts. Her opera repertoire includes more than 30 operas - Donna Anna, Countess, Pamina (Mozart - Don Giovanni, Marriage of Figaro, Magic Flute), Agathe (Weber - Der Freischütz), Tosca, Mimi, Butterfly (Puccini - Tosca, La Bohème, Madama Butterfly), Elisabetta, Desdemona, Elvira, Violetta, Aida, Amelia, Lady Macbeth (Verdi - Don Carlo, Otello, Ernani, La Traviata, Aida, Un ballo in Maschera, Macbeth), Lisa (Tchaikovsky - The Queen of Spades), Santuzza (Mascagni - Cavalleria Rusticana), Venus (Wagner - Tannhäuser) etc. Pille Lill is highly sought after as an oratorio soloist (Mahler - 4. and 8. Symph. ; Mozart, Dvorak, Verdi, Brahms – Requiems; Beethoven 9. Symph. ; Tobias “Des Jona Sendung”; Shostakovich 14. Symph. ; Sibelius „Kullervo“ etc.) and her notable career as a chamber musician has taken her around the world. Pille Lill has recorded numerous CD's - R. Tobias “Jona Sendung” (con. N. Järvi 1995 BIS, con. N. Järvi 2009 DVD), M. Sink “Christmas Songs” (PLMF 2006), A. Kapp “Organ- and Chamber Music” (Eres 2000), J. Torrim “Organ Music” (Antes 1997), L. Sumera “To Reach Yesterday” (2005). Pille Lill is the founder of the Pille Lill Music Foundation (2003, www.plmf.ee), which was launched to support talented musicians. 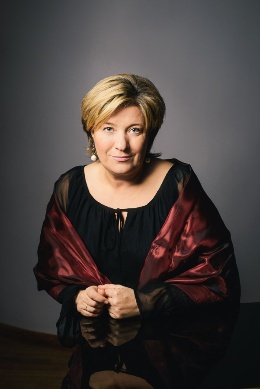 She has been an Associate Professor at the Estonian Academy of Music and Theatre 1997-2013.